Blizz supports the Design Methods Finder. And besides that the Design Methods Finder also supports Blizz online meetings with a lot of methods that can be done online. We call these methods "blizzable". If you do not have the time to meet or collaborate personally together on-site use methods that can be applied remotely. And there are a lot. Just try them out! When you need to move beyond email and standalone messaging apps the Blizz Collaboration Companion by TeamViewer™ keeps you connected to your contacts and global team through video, voice, instant chat messaging, screen sharing, and more on any device, anywhere! Share your screen or application with other participants. Save time by meeting and collaborating online. 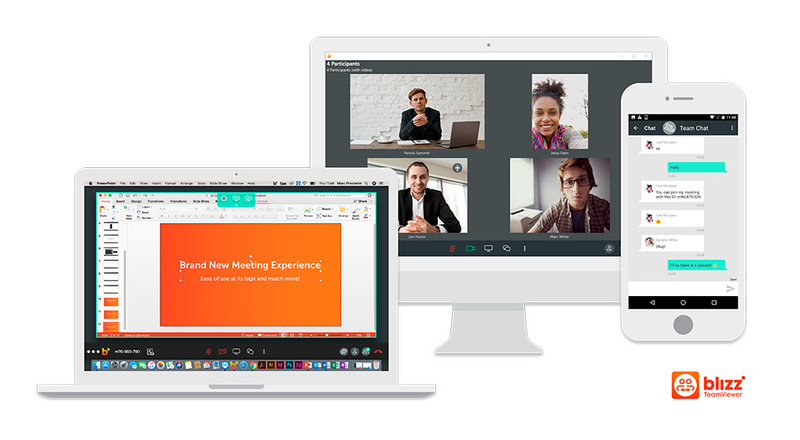 Available in over 200 countries, Blizz helps boost your productivity and improves collaboration with your teams and clients—no matter where they are. Give it a try!